In conjunction with Malaysia Year of Festivals (MyFest) 2015, the state of Sabah promoted one of Malaysia’s most important events held in Labuan, which was the annual Malaysia Water Festival – Labuan National Sea Challenge. The objective of this event was to help promote Malaysia and Labuan to the eyes of the world through an exciting line up of sea-based and water sports activities that promote bonding among participants and locals while boosting the local economy through tourism. This year, the Labuan National Sea Challenge was held on 24 to 26 April at the Labuan International Sea Complex. This yearly event – organised by Ministry of Tourism and Culture in collaboration with Labuan Corporation – was the 19th edition since its inception in 1997. The Labuan National Sea Challenge received 2,000 entries from both local and international participants of different age ranges. This signature event attracted enthusiasts from all over the world including participants from Russia, France, Japan, Africa, Netherlands and not forgetting to mention, our neighbouring countries, Brunei and Indonesia. The event offers participants to compete in activities such as the Labuan Cross Channel Swimming Competition and the Labuan Round Island Kayak Challenge. 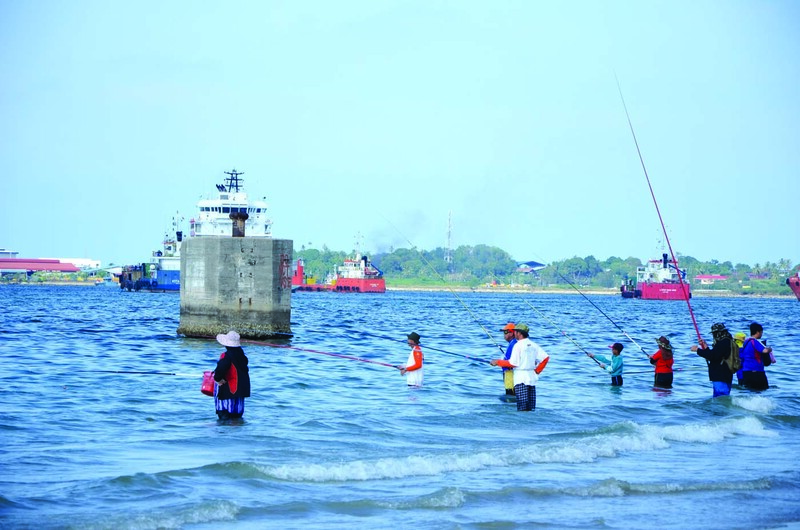 The Cross Channel Swimming Competition tests the participants’ endurance by having them swim the distance of approximately 3 kilometres from the starting point at Labuan International Sea Complex to the Papan Island and back at the starting point. Cash prizes of almost RM10,000 are offered for this event, which is then divided into several categories. Another activity that challenges the endurance and spirit of participants is the Labuan Round Island Kayak Challenge. With the distance covering up to 50 kilometres, the participants need to complete five checkpoints through challenging obstacles. One of the challenging parts was when participants had to paddle against the sea current. This was where almost half of the participants gave up. According to the Chairman of Labuan Corporation, YB Datuk Razman Bin Datuk Haji Isli, Labuan is one of Malaysia’s tuna exporters. 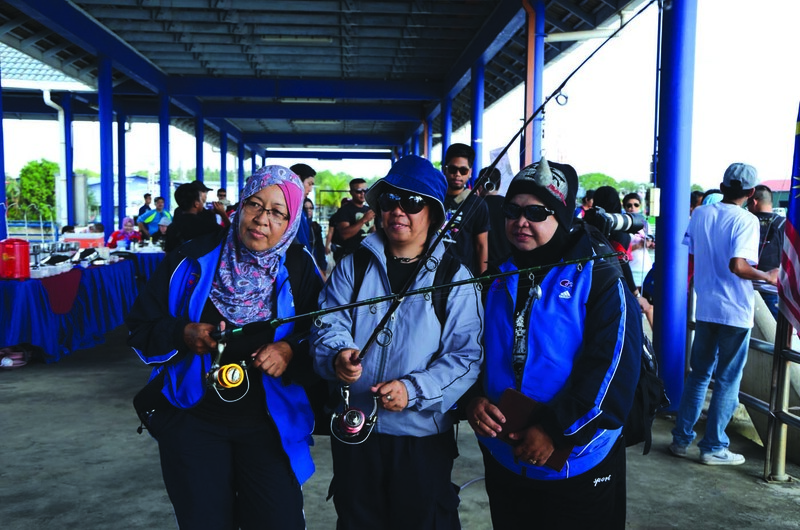 Thus, it is no wonder that the Labuan Fishing Safari Competition is one of the main competitions held during the event that offered cash prizes up to RM40,500. Some types of fish hauled during the competition included the billfish and tuna. There were also less physically demanding activities that took place during the event such as the Coastal Fishing Competition, Stand Up Paddle Competition, Sand Castle Building Competition, Slippery Pole Climbing Competition, Pillow Fight Competition and Tug Of War, altogether offering prizes worth more than RM10,000. Labuan, once known as Victoria, is a beautiful island at the South China Sea, located 8 kilometres off the coast of Sabah. Labuan itself is an archipelago comprising the main island and six smaller islands: Pulau Burung, Pulau Daat, Pulau Kuraman, Pulau Papan, Pulau Rusukan Kecil and Pulau Rusukan Besar. With an area of 92 square kilometres, you can cover the whole of Labuan main island in an hour by car. This is also the reason why Labuan is pedestrian-friendly – most hotels, restaurants, shops and transport facilities are within walking distance from each other. You may notice that cyclists, local and foreign can be seen everywhere, especially on weekends. However, travelling and exploring the island is easier with taxis. In addition to its quaint charm, this Pearl of Borneo is also known as a modern trade centre. Wide range of facilities available in Labuan makes it ideal place business and leisure meet. The island’s economy thrives on its oil and gas resources, as well as its international investment and banking services. Labuan was also declared as an International Offshore Financial Centre (IOFC) in 1990. According to Labuan Corporation, The population in Labuan is 91,410, which is made up of mainly Kedayan, Brunei-Malay, Kadazandusun, Chinese and Murut. Tourists will find that communicating is easy here since Bahasa Malaysia and English is widely spoken. There are several options available to get to Labuan. Malaysia Airlines, MASWings and AirAsia offers flights to Labuan from all states in Malaysia. Labuan is also easily accessible from Brunei Darussalam. From the sea, Labuan International Ferry Terminal receives ferries from Sabah, Sarawak and Brunei Darussalam. The journey takes about 3 hours from Kota Kinabalu (Sabah), 2 hours from Lawas and Limbang (Sarawak), and only one hour from Brunei Darussalam. Duty Free Shopping is one of the biggest attractions in Labuan since it enjoys a duty-free status, thus offer wide range of imported items to choose at discounted prices. Visitors can find everything from chocolates, liquor, jewellery, cosmetics and perfumes to timepieces and local souvenirs. The Peace Park serves as a memorial and a renunciation of the war. A bronze plaque stands at the entrance, remembering the surrender of Japan during World War II. This serene park features a large raised mound with two arched walls, gazebos and Japanese inspired bridges and ponds. Labuan Peace Park is only one-of-its-kind in the country, built for peace and harmony. Situated adjacent to the Peace Park, the Surrender Point is another meaningful memorial where the Japanese army officially surrendered to the Australian troops on 10 September 1945. On this day, the 37th Japanese Southern Army surrendered to the 9th Division Australian Imperial Forces, which marked the end of the World War ll in Borneo. The Chimney is one of the most iconic and mysterious attractions in Labuan. The 106 feet structure was made from 23,000 pieces of red bricks that were imported from England. The Chimney was originally thought to be ventilation stack. However, in recent years, it was discovered that there are no traces of smoke within, making its existence and purpose a puzzle. The Chimney is the winner of The Green Apple Awards 2013 for the Archaeological Heritage Category. This award entitled Labuan as the Green World Ambassador 2014.